Remember that time when I was like 5 years old, maybe younger, when you drove your Toyota pick-up all the way to Chihuahua to visit grandma and grandpa for Christmas? We stuffed the truck with gifts and rotated in the cabin to keep you awake because you were the only one who could drive stick shift. I remember all of the adventure stories of your youth, and how they have so resonated with who I am today. Tales of how you jumped on trains, walked deserts, and even saved a mans life. My mother showed us heart and you showed us adventure. You opened the world to us. We camped before there were any air mattresses and hiked up to the cross at Mt. Rubidoux and ate sandwiches at the top. Remember? We even had dates. 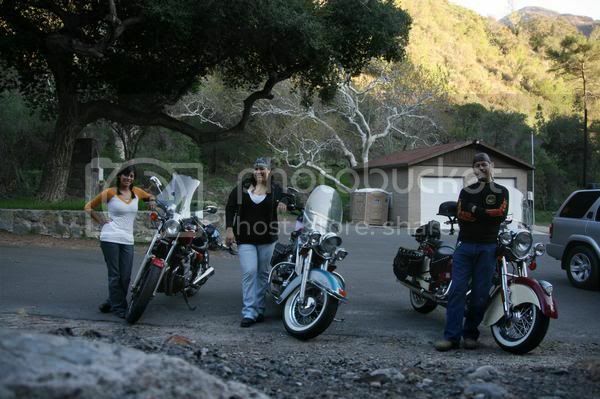 Riding on the motorcycle to LA or taking each of us to a Love Ride on your Harley. 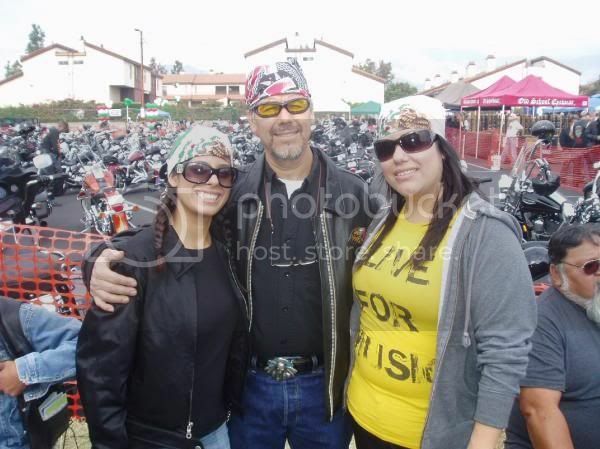 Now we ride side by side as father and daughters and riding buddies. You and my sister are my favorite riding buddies. But aside from all of that, you showed us much more. You taught me how to speak Spanish, even though I was embarrassed by my American accent. It was you who taught the importance of respect, manners, and how to be proper people. You would accompany us on the long bus ride all the way to Mexico so that we would know our grandparents, know our family, and know our roots. You taught us the value of things. The value of want versus need and we were never left with out. You taught us the value of hard work and how it always pays off in the end. And although growing up I didn't understand the value of yard work, hammering nails, and drawing blueprints... I do now. Discipline and honor. You taught us that. And remember when we were riding once and I leaned over to ask you if you would ever consider sky diving? You said you had never actually considered doing it. 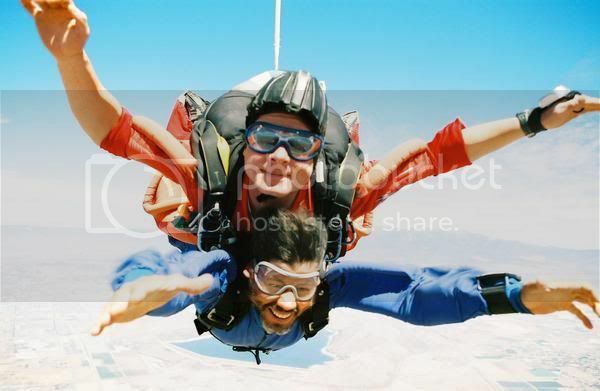 Then, on my 20th birthday we went and jumped out of a plane. I wouldn't have wanted anyone else right by my side. At 13,000 feet. Dad, out of everything you have taught us, you have taught us love. You love us. And you showed us that there is a world so big and full of adventure and to never be afraid. To go boldly and honorably. You showed us that mistakes are part of the learning process. You never failed to teach us new things and teach us that we should strive for better. So, on your birthday, I want you to know that I am proud to have you as my father. Proud to say that you have enlightened my life more than I can imagine. And you that you loved me. 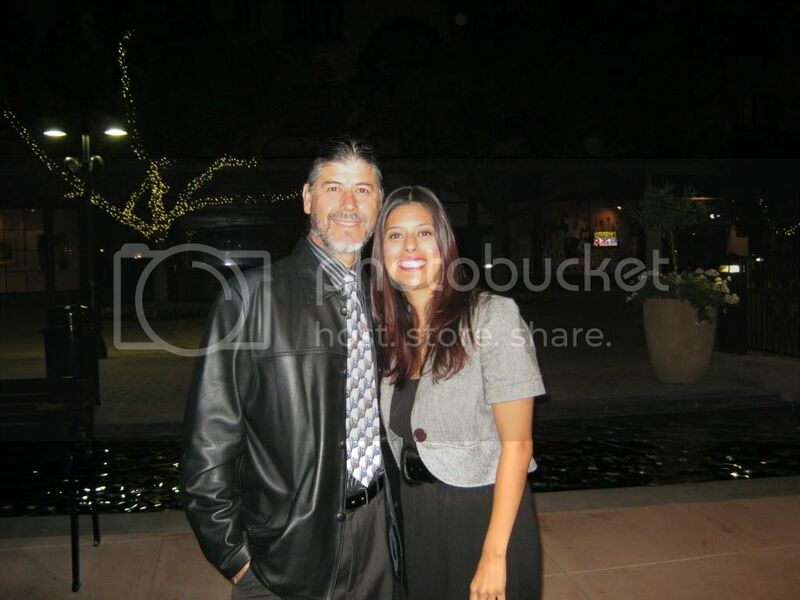 That you were the kind of dad that would bring home little knick nacks and pan dulce after a long day. The dad that always kissed us good bye in the morning even though we were still asleep. The dad that made us laugh and was always up for a good tickle fight. You were the dad that would watch cartoons with me and laugh. The dad that taught us how to not be afraid of the world. You are my dad. And I am lucky to have you and mom in my life. I love you. And dad, you're the coolest dad ever!